This was in Ai's neighbor's yard. 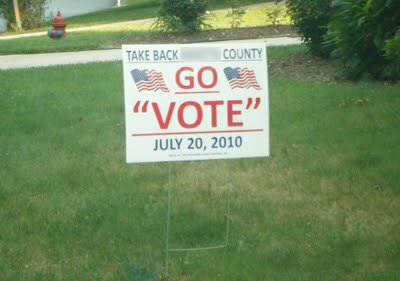 I guess in this county, votes don't count? Well something must be up, the county has been omitted.